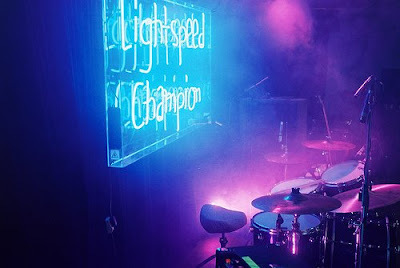 Dev Hynes, aka Lightspeed Champion, has unveiled a brand new, completely interactive website, where members to the site can create a profile, load up images and videos and talk to fellow Lightspeed Champion fans. The site, http://www.lightspeedchampion.com/, also includes a brand new track which members can download for free as soon as they sign up. Dev will regularly be uploading content including short films, photos and exclusive music, as well as continuing his already popular blog. Currently you can enjoy Dev's Wordplay orientated Three Sentence Movie reviews, as well as his pun of the day. ‘I started writing and recording the track at my friend Scott's studio in Williamsburg and finished the song at Patrick from Chairlift’s home studio in Bushwick. I played all the instruments, and my vocal was done in one take. The intro features Aaron from Chairlift (extracted from an old song of his), which has Caroline from the band doing weird vocal things, and Aaron also does a monologue at the end. The song was basically written as it was recorded’.